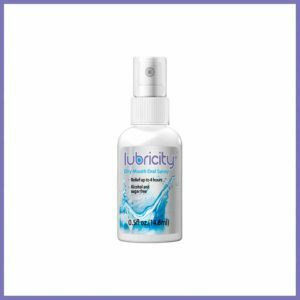 Lubricity Dry Mouth Spray works different from other products. Its innovative formula helps alleviate the symptoms of dry mouth for up to 4 hours! It forms a flavorless gel film that coats the mouth and provides lasting relief from the most persistent dry mouth symptoms. 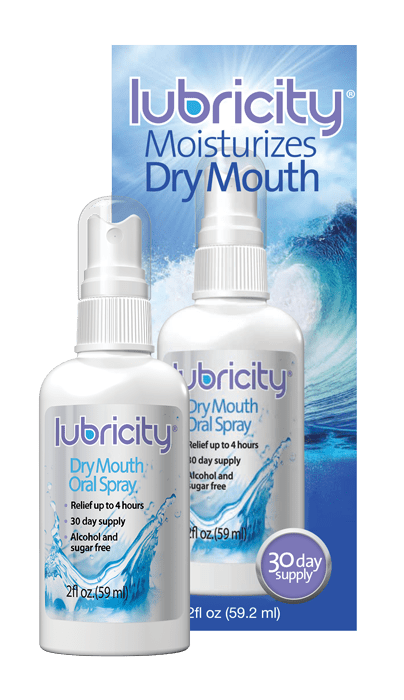 We work with physicians around the U.S. to bring Lubricity to those who need the most effective and reliable dry mouth product. Our formula has only five ingredients. The main one is hyaluronic acid (HA), known among scientists as “nature’s lubricant.” This ingredient is naturally produced in our bodies. It has a great ability to retain moisture and can be easily absorbed in the mouth. 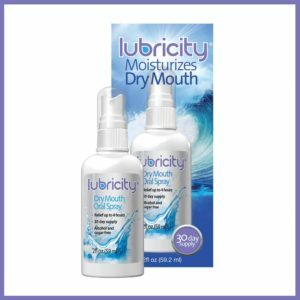 Lubricity also contains xylitol, which prevents bacterial growth in the mouth, reducing the risk of infection. 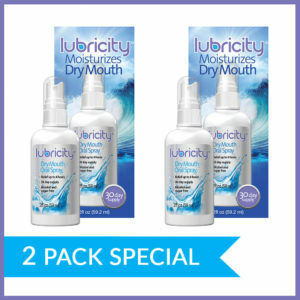 One bottle of Lubricity is all you need to get rid of dry mouth once and for all. Subscribe to our mailing list in the form below to get additional 20% OFF your order.